It has recently become clear that Israel is engaged in a secret war against Iran in Syria. The war is conducted mainly by means of air power, presumably combined with the intelligence work necessary to provide the country’s airmen with the relevant targets; there is also evidence that targeted killings are among Israel’s tactics in Syria. The objective of this campaign, as plainly stated by senior officials such as Prime Minister Benjamin Netanyahu and Defense Minister Avigdor Lieberman, is the complete withdrawal of Iranian forces and their proxies from Syria. Given the government’s strategy, this objective is unlikely to be achieved. But its lesser goal of disrupting Tehran’s efforts to consolidate and entrench itself in Syria is within reach. Israel has carried out periodic strikes against the Syrian regime and Hezbollah targets throughout the country’s civil war. Starting this year, however, there has been a sharp increase in the frequency of such attacks and the commencement of the direct targeting of Iranian facilities and personnel. The imminent demise of the Syrian rebellion spurred this shift. 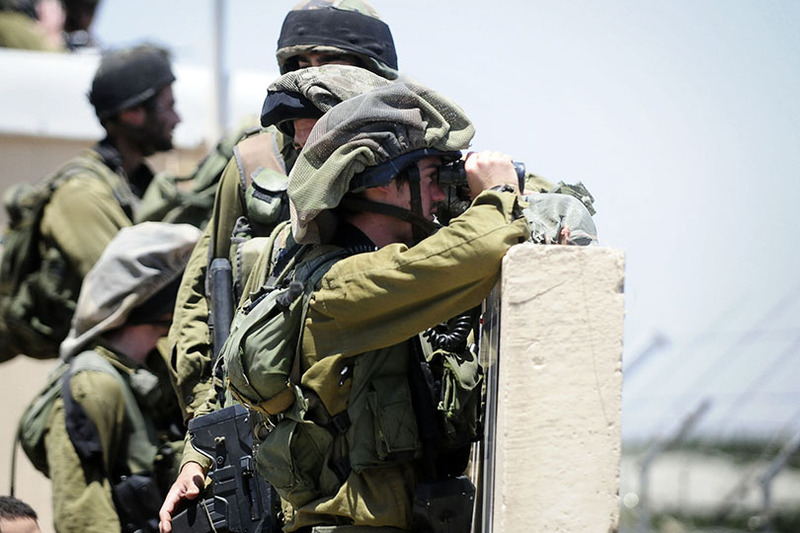 So long as the insurgency remained viable, Israel was content to observe from the sidelines. At most, the Israeli government maintained a limited relationship with rebels in the Quneitra area to ensure that the war did not reach the border with the Golan Heights while intervening sporadically to disrupt the supply of weaponry to Hezbollah in Lebanon. Beyond that, Israel was content to allow Bashar al-Assad’s regime and Iran and the mainly Sunni Islamist rebels to subject one another to a process of mutual attrition. This year, however, it became clear that the rebellion, thanks to Iranian and Russian intervention, was going to be defeated. Israel could no longer afford the luxury of relative inaction if it wished to prevent the consolidation of an independent infrastructure of military and political power by Iran’s Islamic Revolutionary Guard Corps (IRGC) on Syrian soil, along the lines of its existing bases in Lebanon and Iraq. Israel’s direct targeting of this nascent infrastructure began shortly thereafter. It’s difficult to trace the precise contours of this campaign, given Israel’s reticence about taking responsibility for attacks. It is also sometimes in the interest of both Tehran and the Assad regime to avoid publicizing Israel’s strikes. But it’s clear that the largest-scale clashes so far took place on May 10, when in response to Iranian forces firing 20 Grad and Fajr-5 rockets toward Israeli positions on the Golan Heights, Israel launched an extensive air operation, targeting Iranian infrastructure throughout Syria. This operation involved 28 aircraft and the firing of 70 missiles, according to Russian Defense Ministry figures. The targets included a variety of facilities maintained by the IRGC in Syria: a military compound and logistics complex run by the Quds Force, an elite paramilitary unit of the IRGC, in Kiswah; an Iranian military camp north of Damascus; weapons storage sites belonging to the Quds Force at Damascus International Airport; and intelligence systems and installations associated with the Quds Force. But Netanyahu recently indicated that the campaign was not over. “The Israel Defense Forces will continue to act with full determination and strength against Iran’s attempts to station forces and advanced weapons systems in Syria,” Netanyahu told an audience in the southern Israeli town of Dimona on Aug. 29. Israel seemed to express its determination to act in a series of explosions last weekend at the Mezzeh military airport near Damascus. Both the pro-regime Al Mayadeen website and the pro-rebel Syrian Observatory for Human Rights attributed the attack to Israel, but it was silent on the matter. Syrian state television and the official SANA news agency later denied that an Israeli attack had taken place. An aerial attack on an Iranian convoy near Tanf in southern Syria on Sept. 3 similarly passed without any official claim of responsibility. An Iranian citizen and seven Syrians were killed in the attack, according to the Syrian Observatory for Human Rights. The U.S.-led anti-Islamic State coalition maintains a base at Tanf, but the coalition denied any involvement in the incident. Tanf, of course, is far to the east of the Quneitra Crossing and the Golan Heights. But Israel’s concerns are not solely, or mainly, with the border area. Israel also appears to be concerned not only with physical infrastructure but also with the passage of Iran-associated militia personnel across the border between Iraq and Syria. In mid-June, an airstrike took place on Harra, southeast of Albu Kamal on the Syrian-Iraqi border. The target was a base of the Kataib Hezbollah militia, a leading Iran-supported irregular force. Twenty-two members of the organization were killed in the strike. No country claimed responsibility for the attack. An Iranian militia commander quoted by Reuters said the United States was probably responsible. Such an action, however, would be directly contrary to the generally observable U.S. approach regarding the Iraqi Shiite militias. Washington seeks the political defeat of the militias but also is concerned with avoiding military clashes among political elements in Iraq. Finally, the unattributed killings of Aziz Asber, the head of the Syrian Scientific Studies and Research Center in Masyaf, and Ahmad Issa Habib, the commander of the Palestine department of Syria’s military intelligence, on Aug. 5 and Aug. 18, respectively, have led to some speculation as to possible Israeli responsibility. What is taking place, then, is an ongoing, rolling campaign intended to disrupt Iran’s attempt to consolidate and deepen its project in Syria. Will the Israeli campaign succeed? It is difficult to see how the country can achieve its maximal goal of complete Iranian withdrawal from Syria. The Iranian investment in Syria is very large, formally based, and long-standing. Tehran has spent upwards of $30 billion in the country over the last seven years. The Iranian project is also multifaceted. It includes the creation of structures within Syria’s official security forces, such as the National Defense Forces, and militia deployments. Air attacks and targeted killings are unlikely by themselves to lead to a strategic decision by Iran to reverse course and abandon all these investments. It’s perhaps more appropriate to view the Israeli campaign as one element of a broader, multiprong effort to contain and roll back Iran’s gains of recent years across the region. New U.S.-led sanctions and efforts by other regional states elsewhere comprise additional fronts in this campaign. Given the depth and extent of the Iranian investment in Syria, and the relatively sporadic (if kinetic) Israeli actions, it seems likely that a long, open-ended contest lies ahead. The Israeli campaign resembles nothing so much as the country’s approach toward other troubled areas on its borders, such as Hezbollah-controlled southern Lebanon and Hamas-controlled Gaza. This is the familiar method of “cutting the grass”—albeit carried out on a vastly larger lawn and using a broader and more intricate range of equipment for the purpose.